There are so many different directions you can take with your advertising. With many businesses it’s a matter of trial and error. You can spend an awful lot of money while you try different methods. If your money tree isn’t producing as much greenage as you’d like, take heart. There actually are ways to get your business out there in the public eye without having to use up all your capital. These following suggestions are meant for those looking for quick, inexpensive advertising just to get you started. More will be covered later for (relatively speaking) costlier advertising. 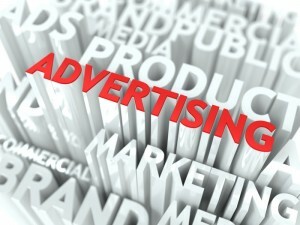 Here is one highly effective advertising ploy that you can take advantage of and it’s free! This is one of my all time favorite ways to generate publicity (and not just because it’s free). A press release is traditionally an article published in newspapers announcing your new business. You can also send press releases to radio and television. This is my all time favorite publicity getter. Not only is it free (! ), it is extremely effective. And it’s great fun. You can’t help but love it when you see your new business in print (in many cases with full color photographs). It will go out to thousands of readers! Usually newspapers are eager to fill their columns and will be happy to do a write up. For free! Did I mention it’s free? When you are just starting out and every penny counts, ‘free’ is a huge plus. Of course the press release must be written “just so” in order to be picked up by the media. I followed the directions from a little gem of a book called “6 Steps to Free Publicity” by Marcia Yudkin. The only trick here is actually getting the news media to publish your press release. They are bombarded with publicity seeking releases, so they will likely only choose those that are correctly submitted. Not only is it required that the story be written correctly from a writer’s point of view, but it must follow the proper format. When done correctly the FREE publicity is priceless. So just exactly how do you grab the reader’s attention and make them want to publish your story? Find a hook. What is it about your new business (or product) that is so great? What makes it different and special compared to what’s already out there? Have you created something entirely new? If not new, then why does the public need your services? Don’t worry, you needn’t have invented a whole new mode of travel or discovered the real fountain of youth. If your business is actually a new dry cleaning establishment and there are already twenty others in your area, what will make yours stand out? Do you deliver 24 hrs a day? Bingo! There’s your hook. Can you tie in your venture to a current events item? Emphasize how your specialized financial consulting business is something that everyone should be taking advantage of considering the current state of the economy (wherever it might be at the time). You can really get creative and hold a contest in conjunction with your grand opening. Because you will have a time sensitive subject, the editor will (hopefully) be generous enough print it right away. Or how about timing your event to an upcoming holiday or National Whatever Day? If you are opening a new flower shop you can pretty much pick any upcoming event to tie in your grand opening. Secretary’s Day, Mother’s Day, Sweetheart Day, Valentine’s Day, the mayor’s birthday. Hey whatever grabs the editor’s attention! Go for it. Another journalistic trick you can employ to add flavor and interest would be including quotes. Don’t worry, you don’t need to run out and interview customers for their comments. Make something up. “After spending 20 years in the corporate world, I knew it was time to take the plunge and open my own graphic arts design studio.” If you are opening a franchise, grab a quote from the franchise’s brochures. Since the body of your story should be written as if you were the reporter writing up an article, adding a quote or two will add a real sparkle. Press releases have a very specific format that is to be utilized. Nothing at all difficult, just a few standard items that must be included. First, at the top of the page write your business name and address (top left). On the second line write your name and phone number where you can be contacted. Then write “FOR IMMEDIATE RELEASE” in all CAPS. That is of course if you want it released immediately. If you are sending it prior to your grand opening (or another target date), then write the date that you want the story released. Next enter your attention grabbing headline. Center on the line. Use all CAPS and underline. Continue with the body of the story. Double space. That’s it for the formatting. Nothing complicated. Each publication will have its own preferred method of submission. While the traditional method is snail mail (US Postal Service), some actually prefer email. It’s so much more efficient. Even with email submissions, the publisher or editor will have specifications to be followed. In the case of newspapers, go online to the newspaper’s web site and search until you find information on how to submit a press release. If you can’t find it, make a phone call and ask. In desperation you can even directly email your story to the reporter(s) that covers business news. Be sure to send it to one that covers local new businesses. They are always looking for something new and exciting, so don’t be shy. They will be happy to get your story (provided it’s been well written and fascinating). If you haven’t been contacted within a couple of weeks, call and ask if your release was received. If you emailed it, you can easily track if it was opened by clicking the notification box in your email options. I once emailed a press release to local newspapers announcing the opening of my new retail store. Within a half hour of sending it the phone was ringing! The reporter wanted to schedule a date for the photographer to come by. Thirty minutes! That has to be a record of some sort. Then again, the other newspaper never responded. I re-sent it. They opened it this time and emailed me that they wanted it sent as text rather than an attachment. I did that immediately. Then nothing again. I tried again six months after the grand opening. This time a reporter called two days later asking me why I hadn’t submitted it six months ago. Seriously?! The happy ending was they wrote a really great half page article with several color photographs resulting in many new customers! You certainly don’t need to limit your publicity to newspapers. Think big! Send your information to television and radio stations. They too need to fill time and welcome news worthy stories from the public. You should particularly target local news shows that must fill an hour or two daily. They might even send cameras to your location and shoot from there. That would be incredible FREE publicity! All of this attention should certainly jump start your business! Do take advantage of yellow pages advertising. Sure the Internet now rules when it comes to “searches”, but depending on your business type or industry you might still want to advertise in the yellow pages. You can easily contain the expense here by opting for just a name, address and phone number line. If you want to spend a little bit more, you can do a simple 1/2 inch boxed ad. Particularly if you notice your section is devoid of boxed ads, yours will really stand out. If on the other hand you are dying for a full-page ad, you should employ the services of an advertising company. If you are going to spend exorbitant amounts of money, you may as well go all the way. Those of you that are on a tighter budget can still be in the ‘book’, for a much more reasonable monthly fee. You can also arrange to be listed on the Internet version of the yellow pages for an additional nominal fee. Keep in mind that these days there likely is more than one “yellow pages” directory in your locale. How about flyers? Creating flyers on your computer and printing them up on your printer is a fast, easy, economical way to get the word out about your new business. Get some friends to help you distribute them. As for where to distribute, that depends entirely on the type of business you are running. Keep your eyes and mind open to nearly endless possibilities. How about doctor’s offices, grocery store ‘bulletin’ boards, schools, churches, friends’ workplaces, day care centers, train stations, community colleges. Many places frown on this, but it doesn’t hurt to try. Many people like to place them on cars in crowded parking lots. Again, you may need to ask permission, as some places don’t exactly appreciate it. If you’re not able to place display ads in newspapers or trade publications just yet, how about classifieds? These are fairly inexpensive and can bepretty effective. The trick is to place the ad in a listing that is compatible with your business. This doesn’t necessarily mean you need to find an exact listing to fit your ad into. It can be anything that your target market might be looking at. For example, let’s say you are operating a resume writing service. Place a classified in the help wanted section. When you are ready to spend some of your funds on advertising such as display ads, direct mail, coupon magazines, radio and television, it might be time to use the services of an advertising agency. You can certainly come up with some display ads on your own and insert them in local newspapers. Sometimes the newspapers do specialty editions that you can utilize once in a while if you are not able to do daily or weekly ads just yet. In just a few months time you will have sales people coming to you with their publications offering ad space. ← Why Does SEO Continue to Live?